Updated Thursday February 22, 2018 by Leopard Lacrosse. The Lovejoy Leopards Lacrosse program monitors weather conditions prior to, and during all practices and games. For all youth teams - Kinder through 8th grade - cancelation of a practice or game due to adverse weather is at the discretion of the Lovejoy Leopards Lacrosse Board of Directors or game officials. For all high school teams - Varsity and Junior Varsity - cancelation of a practice or game due to adverse weather is at the discretion of the Head Coach, Lovejoy Leopards Lacrosse Board of Directors, or game officials. For weather conditions occurring prior to a practice or a game, we will try to notify everyone as soon as a decision has been made to play, postpone, and/or cancel the practice or game. As a general rule: Practices will be cancelled if the TEMPERATURE at the scheduled practice time is below 35 degrees Fahrenheit (factoring in the wind chill) or if the HEAT INDEX at the scheduled practice time is above 105 degrees Fahrenheit. Practice is automatically canceled in the event of lightning within 6 milies of the practice field or severe weather warnings from the National Weather Service. For weather that causes field conditions to deteriorate or is forecast to create a weather related danger, the decision to postpone or cancel a practice or game will be made as soon as possible. The coach or one of the Lovejoy Leopards Lacrosse Board Members will notify the players and parents of any such cancellations. Inevitably, practices or games are cut short due to inclement weather. In these instances, a coach will remain at the field until all the players have been picked up. For liability reasons, coaches are unable to drive players home. In the event that inclement weather is likely to occur during a practice or game, parents are asked to either remain at the field or make arrangements with someone else so that a seat in a vehicle is assured for our players. 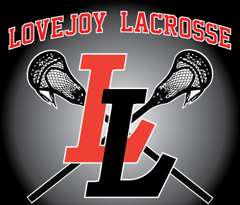 The Lovejoy Leopards Lacrosse program uses emails and/or text messages to the players and parents to send notifications. The email addresses and text numbers provided by the player or player’s parents during the registration process will be the email and/or text use to send notifications to. It is the responsibility of the player and player’s parent to make sure their email addresses and text numbers are kept current and are linked/synched to the Lovejoy Leopards Lacrosse notification system. Our Board Members and coaches do their best to make appropriate decisions regarding weather cancellations, but occasionally mistakes are made (e.g., a practice or game may be cancelled that could have been played and vice versa). We appreciate your flexibility and understanding in these situations. Lacrosse is played on very cold days in January and February and very hot days in April and September, so please make sure your child(ren) are properly clothed for practices and games. Hydration is very, very important. Please make sure your child(ren) bring plenty of water to all games and practices – particularly on hot days. Lacrosse is a game that is played in the rain and on wet fields, so rain alone may not be enough to cancel a practice or game. Rain generally does not affect practice, unless it is accompanied by cold weather. If rain is in the forecast, players should pack an extra set of clothing in a plastic bag to keep dry. If a severe storm approaches the practice or game field area, the safety of the players is our number one priority, and may require that the practice or game be suspended while shelter is sought. In the event a practice or game is suspended, ALL participants will be cleared from the field immediately and moved into an approved person’s car or available school bus or other permanent indoor shelter. If lightening encroaches within a distance of 6 miles, practices and games will be suspended until 30-minutes have passed since the last strike within a distance of 6 miles. The Lovejoy Leopards Lacrosse program uses the “30-30” Rule regarding lightning to determine when to seek shelter. 30 Seconds – STOP: Stop the practice/game when there is a 30 second or less “flash to bang” (thunder) time. A 30 second “flash to bang” ratio means the lightning strike is 6 miles away. The Weather Bug app is also used to track lightning strikes in the area and to determine the distance from the field. 30 minutes – RESUME: Resume the practice/game no sooner than 30 minutes after the last visible lightning flash or thunder. If lightning is a threat, players will be evacuated to the nearest indoor facility. If an indoor facility is not available, then players will be directed to an approved person’s car or available school bus where they will sit and wait. Players that “wander” or fail to stay were directed will be suspended from participation in the next game. If activities are or will be suspended for longer than 45-minutes, practices will be cancelled and games will be shortened or cancelled. When the temperature reaches 95 degrees Fahrenheit or when the Heat Index reaches 100 degrees Fahrenheit, practices will be abbreviated or periodic rest-breaks and water breaks will be provided.